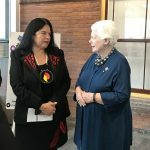 The Lieutenant Governor offered extended remarks at the Humber Lakeshore Indigenous Culture Markers Grand Opening in Toronto. 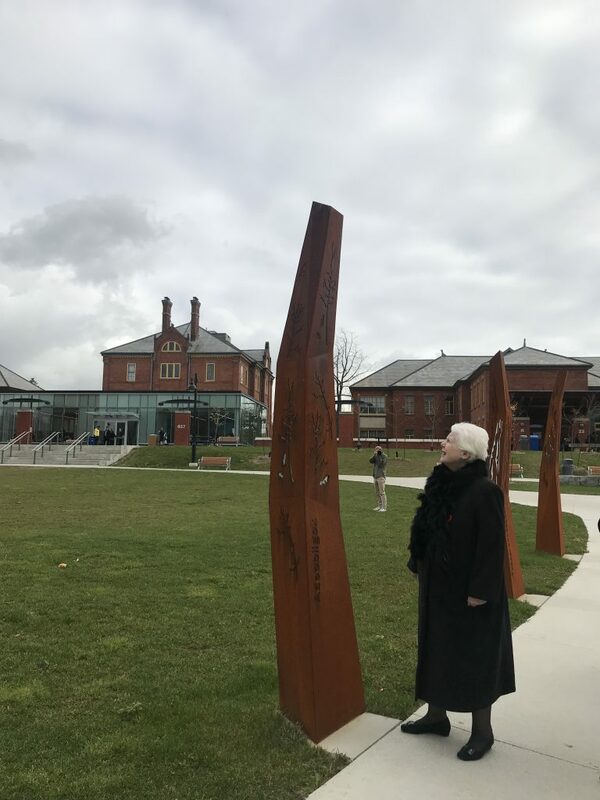 The grand opening celebrated the Indigenous Cultural Markers (ICM) at Lakeshore Campus including jingle dancers and a short video showing the Indigenous Cultural Markers on the Lakeshore campus grounds. Humber President and CEO, Chris Whitaker acted as the event emcee, Elder Shelley Charles delivered the land acknowledgment and Vice-President of Student and Community Engagement, Jason Hunter spoke to the development of the project. Senior members of Humber’s leadership team met with the Lieutenant Governor earlier this year at the Venice Biennale of Architecture. Humber’s Indigenous Cultural Markers are currently being displayed as part of architect’s Ryan Gorrie’s participation in UNCEDED: Voices of the Land, a showcase of Indigenous architects from Turtle Island (Canada and the USA).